Ahmedabad, April 17: A day after making controversial comments by appealing Muslims 'to vote unitedly' and defeat Prime Minister Narendra Modi, Punjab Minister Navjot Singh Sidhu on Wednesday attacked PM Modi again over the latter's 'failed' scheme of Jan Dhan Yojana and stated that BJP is making people do Yoga by keeping their plates empty. Soon after the comment, District authorities in Katihar lodged an FIR against Sidhu for his remarks. 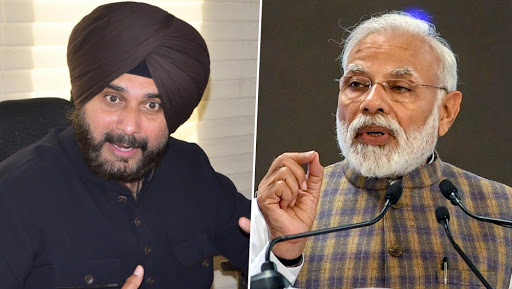 A BJP delegation, including Union ministers J P Nadda, Mukhtar Abbas Naqvi and V K Singh, also asked the EC to take action Sidhu, alleging that he tried to “spread hatred” with his speech in Katihar.